Envelope, LFO, noise, sample and hold, mixer, analog logic, slew, and oscillator, the Mod Tools is a diverse analog ecosystem of modulation. The functionality of the Mod Tools is split into four sections. 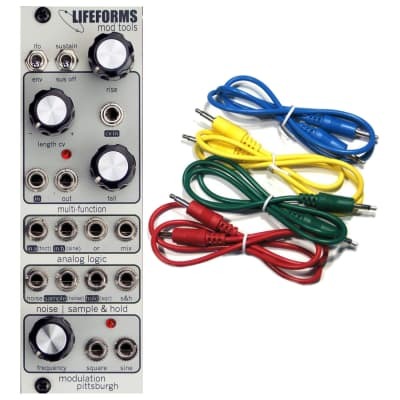 Multi-function, analog logic, noise | sample & hold, and modulation. The Multi-Function section is a voltage controlled slope generator. This flexible circuit can function as a voltage controlled envelope, LFO, oscillator, slew, envelope follower, and more. The Analog Logic is a two channel mixer with a standard unity gain mix out as well as an analog ‘or’ logic output. The ‘or’ logic outputs the current highest positive only voltage from either of the inputs creating interesting modulation or wave shaping options. Patching audio signals through the ‘or’ output creates a half-rectified waveform. 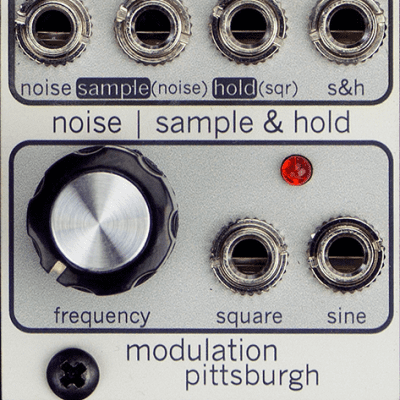 The noise | sample & hold section is an all analog noise source paired with a sample and hold circuit used to create truly random stepped CV signals. 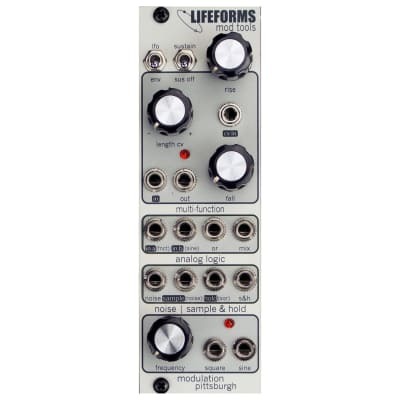 The modulation section houses a free running LFO with both square and sine wave outputs.